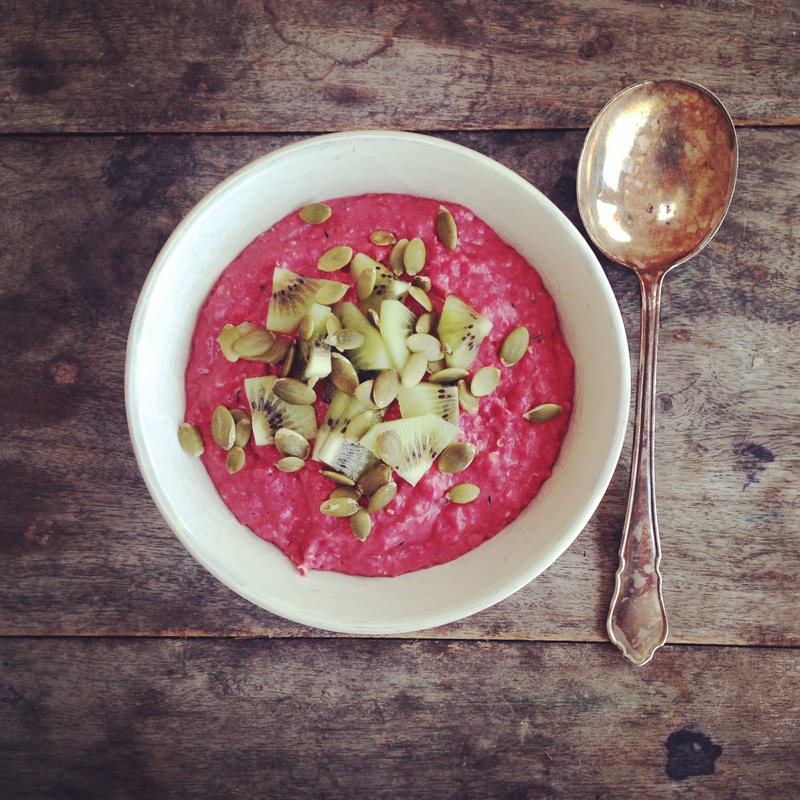 Happiness starts with a bowl of pink porridge for breakfast! Place all the ingredients in a pan on the hob and bring to the boil, stirring occasionally. Turn down the heat and simmer until your porridge is the right consistency for you. Add more nut milk if you like it runnier. We topped our porridge with slices of kiwi and pumpkin seeds, but use any topping you fancy – crushed pistachio nuts, pomegranate seeds, cacao nibs, bee pollen and fruit of any kind are all delicious. Awesome pink colour Cous! Got to try this! So creative.